With Exchange Server 2013, a new management console is introduced and the traditional Exchange Management Console has been retired. This article will be showing you how to access the new management console for Exchange Server 2013. 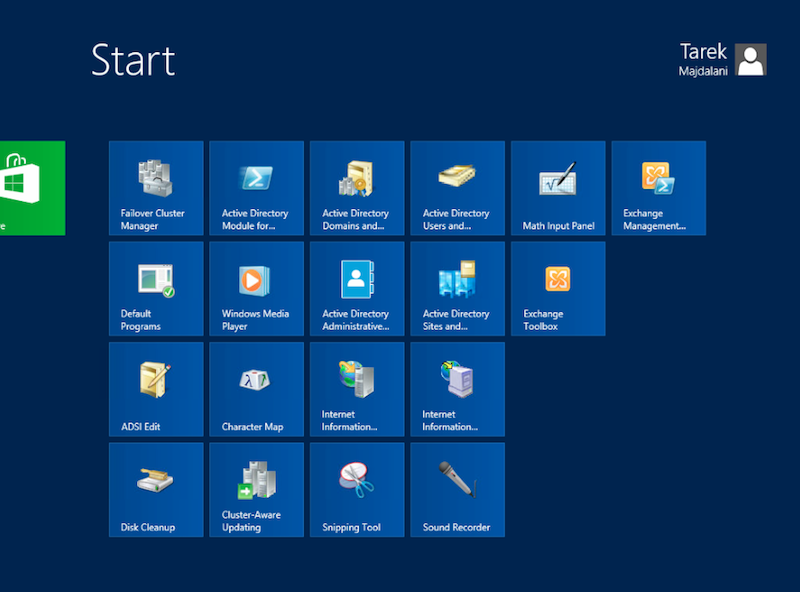 If you opened the Start Screen in Windows Server 2012, you will notice that there is no Exchange Management Console as we were used to manage Exchange Server 2010. 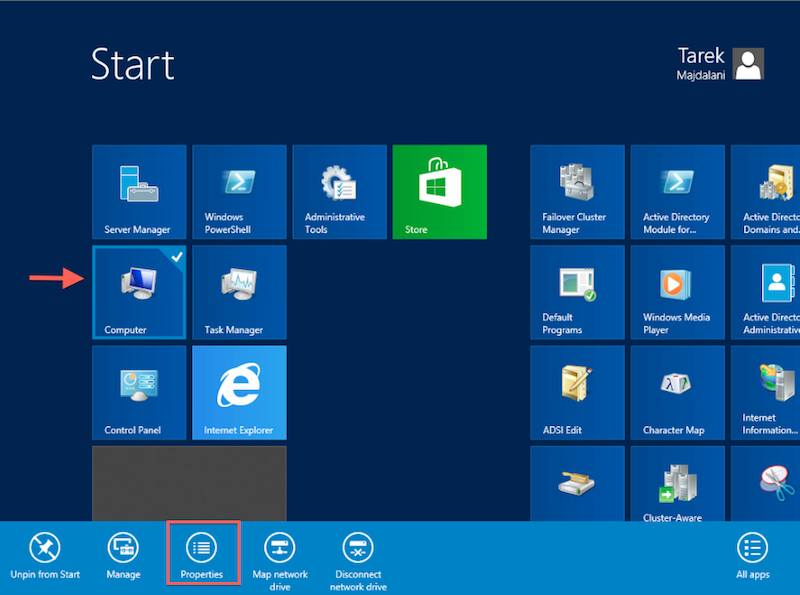 On the Start Screen, you can only find Exchange Management Shell and Exchange Toolbox. 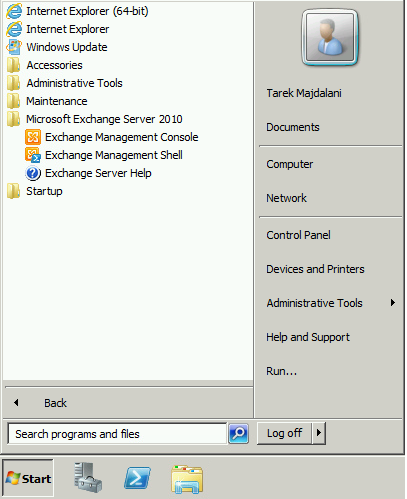 Previously, with Exchange Server 2010 and older versions, we used to have Exchange Management Console inside the All Programs Start menu. 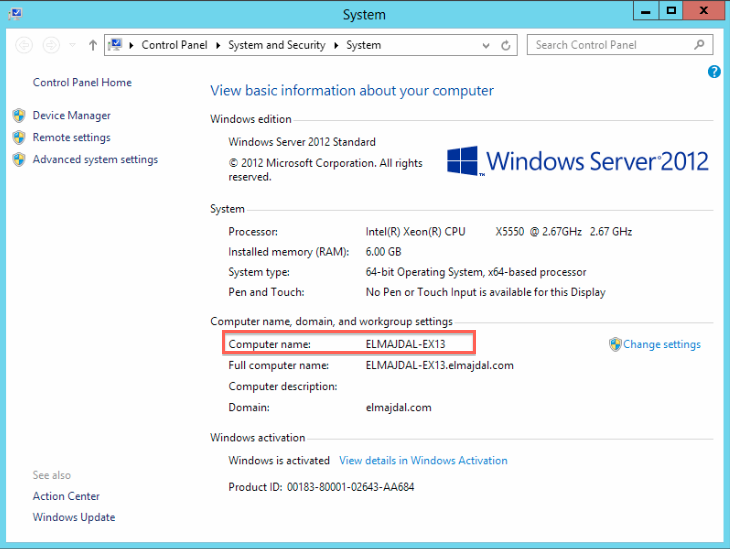 So how do we administer Exchange Server 2013? 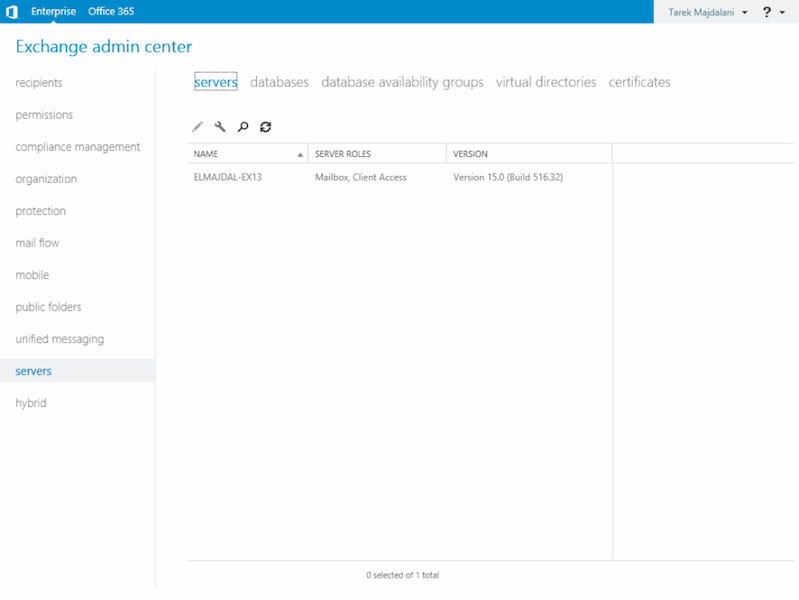 Well, Exchange Management Console (EMC) has been replaced with Exchange Admin Center (EAC). 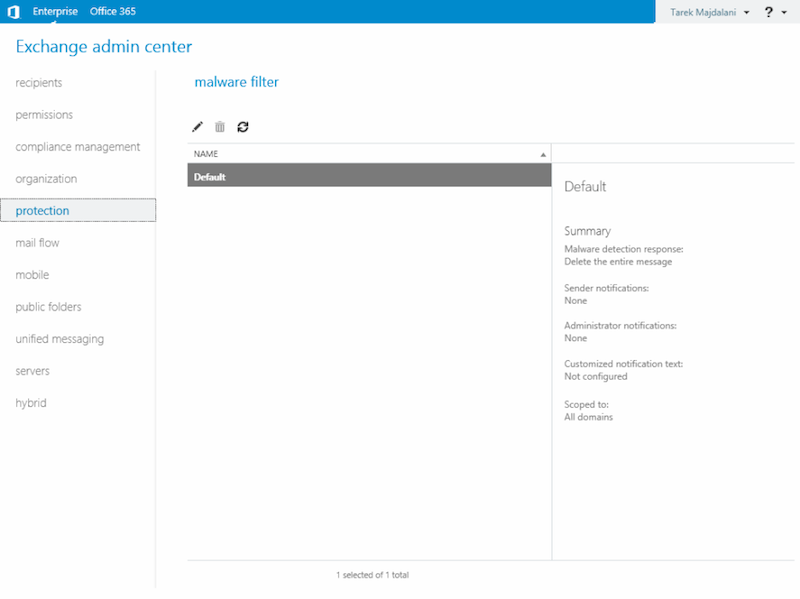 Exchange Admin Center is a web interface management console used to manage Exchange Server 2013. To access Exchange Admin Center, you can have one URL for its Internal Address and another URL for Accessing it from an External Network. 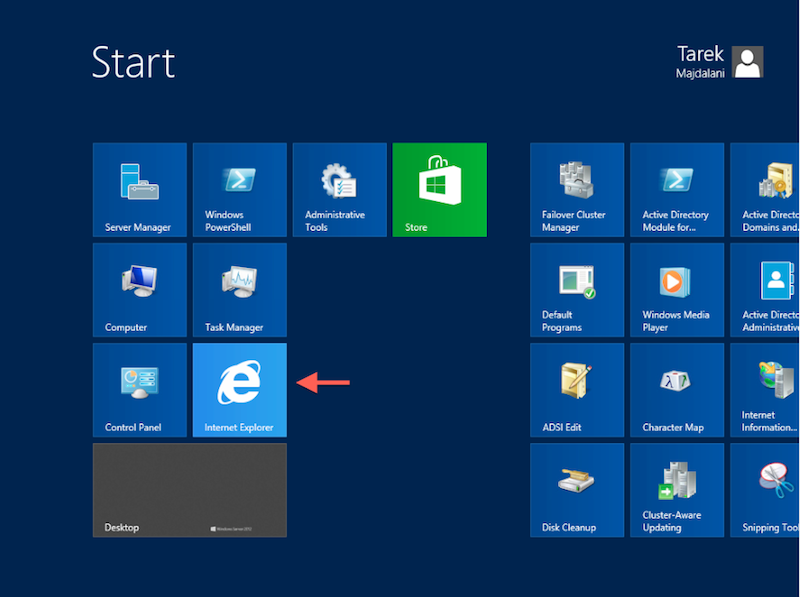 As this is still a fresh installation of Exchange Server 2013, we only have an Internal URL. Later on once you logon to EAC, you can configured EAC external URL. First you have to know your Exchange Server computer name. Right click on Computer and click on Properties. The computer name for my server is : ELMAJDAL-EX13 as displayed in the below screenshot. Type the URL of Exchange Admin Center : https://<CASServerName>/ecp where CASServerName is the name of the Client Access Server. My Computer Name is : elmajdal-ex13, so the url will be https://elmajdal-ex13/ecp , type it inside the address bar and then hit Enter. To logon to EAC, you will need to authenticate with a user account that has the required permission to logon. I will logon with the same user who was used to install Exchange Server. 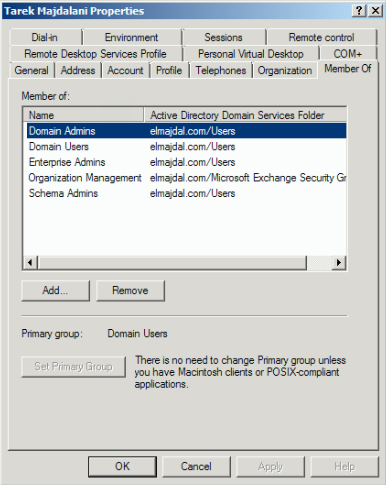 My user account before installing Exchange was a member of Schema Admins, Domain Admins and Enterprise Admins groups. After installing Exchange, it automatically became a member of Organization Management group. Type your DomainName\Username and your Password and then click sign in. You will be asked to choose your preferred display language and time zone. Then click Save. 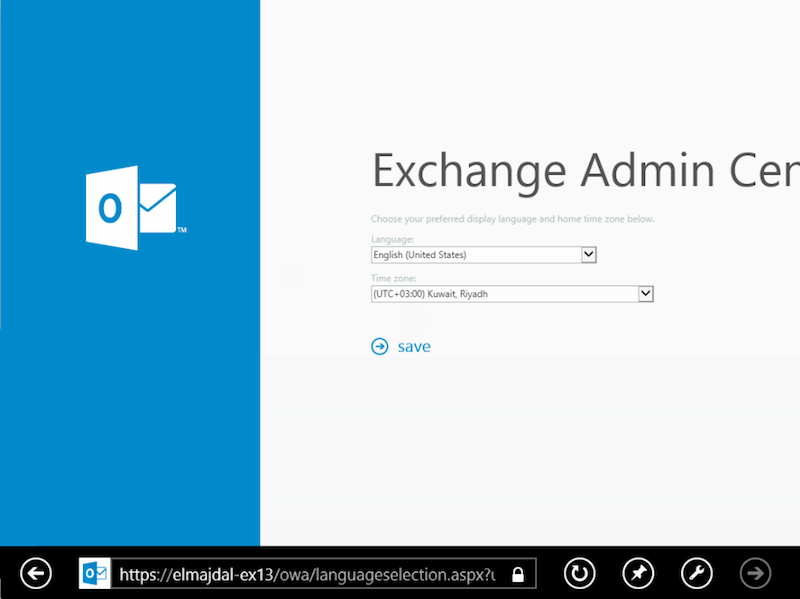 Exchange admin center will be opened, and you can start administrating and configuring your Exchange Server. 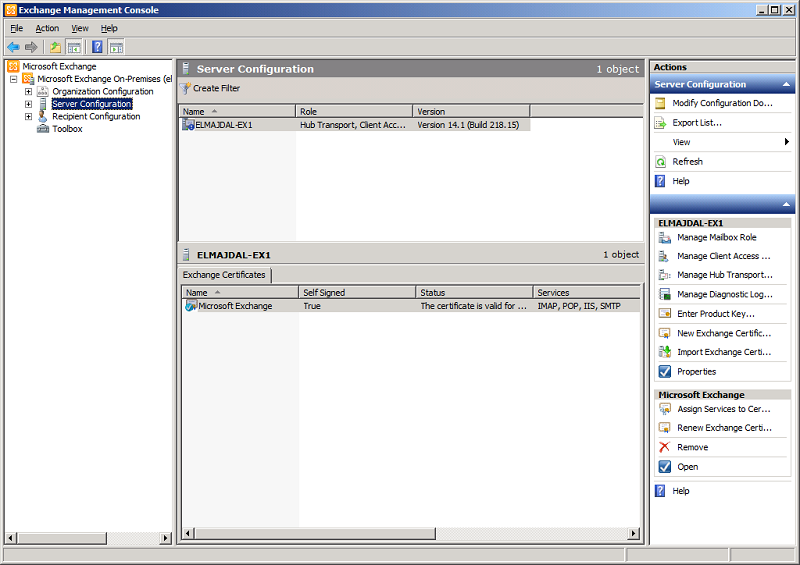 Below you can find sample screen shots of Exchange Admin Center. Note: Although Exchange Admin Center is a web interface management console, it can not be accessed from any operating system or web browser! The below section will be showing your the supported operating systems and web browsers. For the best experience with the EAC, use one of the operating system and browser combinations labeled “Premium”. Premium: All functional features are supported and fully tested. Supported: Has same functional feature support as premium. However, supported browsers will be missing features that the browser and operating system combination doesn’t support. Unsupported: The browser and operating system isn’t supported or tested. Other operations system and browser combinations not listed in the above table are unsupported. 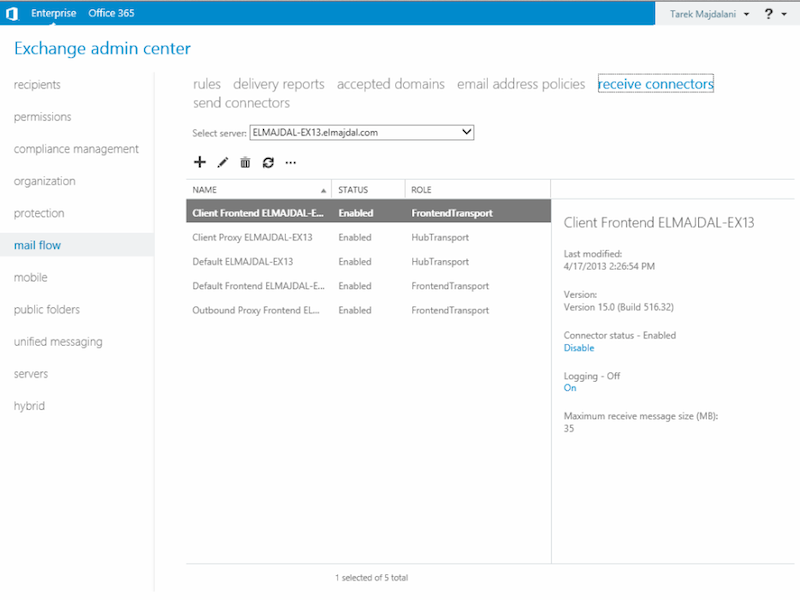 Exchange Admin Center is a totally new web management console for managing Exchange Server 2013. Now you can manage exchange server from Windows, MAC and Linux machines as well.